The mother of two of my nearest and dearest friends is moving from a home she’s been in for 50 years. I always found Marilyn’s home comfortable and charming. It doesn’t hurt that it is located in one of my favorite Orange County cities, Corona del Mar. But her home has gotten to be too much for her and since she has family and friends living in a nearby senior community, Marilyn has decided to make the leap to a new chapter and more manageable abode. The CDM home is a single-story ranch style home that sits on a canyon where deer were often spotted…I’m not sure whether they still see deer but the canyon is filled with trees and shrubs so it’s such a great backdrop to the ocean view off in the distance. Linda (Marilyn’s eldest daughter, and my maid of honor nearly 39 years ago) is down from Bainbridge Island to help her sister (my other good friend, Gretchen), pack up the home and host a garage sale to get rid of some of the items that won’t fit in the new, smaller home. Since Linda, Gretchen and I all share a passion for home design, and nesting in general, when the sisters came across a box of magazines they thought of me. Thank you Gretchen and Linda! 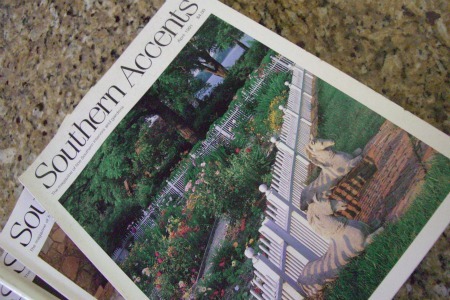 The magazines they delivered this afternoon are none other than one of my all time favorites, Southern Accents. As most of you probably know, the magazine shut it’s doors without notice a couple of years ago and fortunately I had saved about 12 issues. 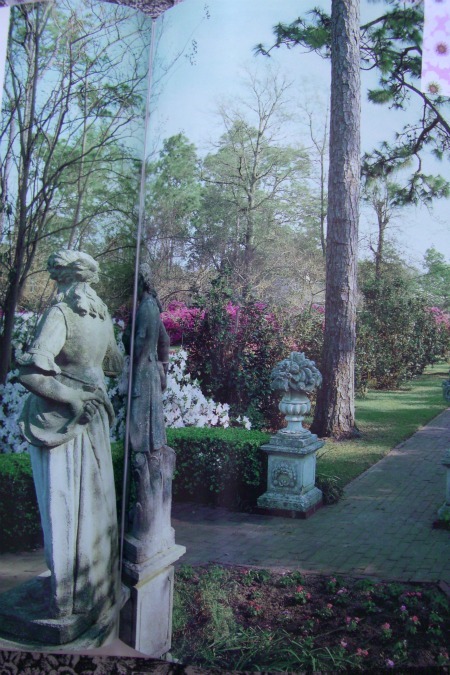 I still miss the magazine’s southern style and all the lovely rooms and fabulous gardens they published 10 times a year. The nine issues are mostly dated 1990 and 1991 but there is a 10th anniversary issue dated 1987! Interestingly, most of the images hold up but there are a few of the ads that clearly have the “Country French” vibe, similar to the trend that took Southern California by storm around that time…probably the rest of the country as well. 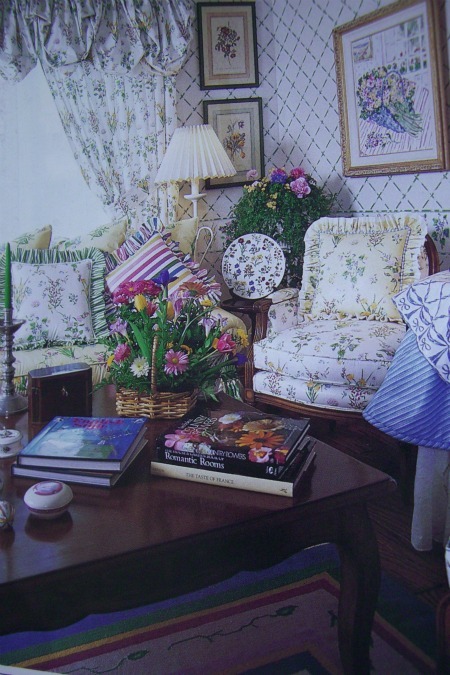 The May-June 1987 issue, had this ad for Country Life Designs. In Southern California this look (above) was huge and I had a bedroom that resembled this look. Some of my friends had nearly every room wallpapered in the Country Life designed paper and I always thought it was so pretty. We all used faience farm animals as decorative accessories…bunnies and geese were especially popular. I still have a few of the rabbits but usually only display them in the spring. The faience geese were more timeless and I still love seeing them as an accessory in a country French style room. 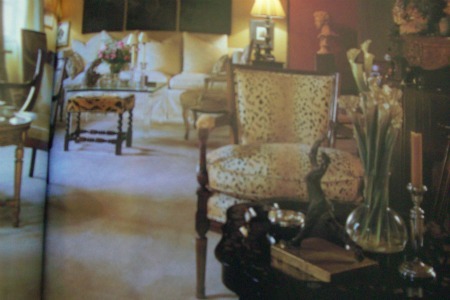 Furnishings were French, some new and some antiques. 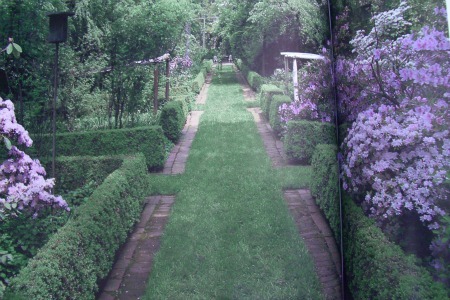 The formal garden featured in “Quintessentially Mobile” article is timeless. The images for a home by architect Harry Inge Johnstone are typical of the lovely homes Southern Accents featured in each issue. The sofa looks almost slip covered, although I believe it is upholstered, the room looks as if it could be in a feature for a 2011 magazine. Good design never goes out of style even if some of the contributing features such as wall paper use come and go. The 3 panels above the sofa are wonderful. Today the room might have wood floors and a sisal rug but the neutral palate is very 21st century. 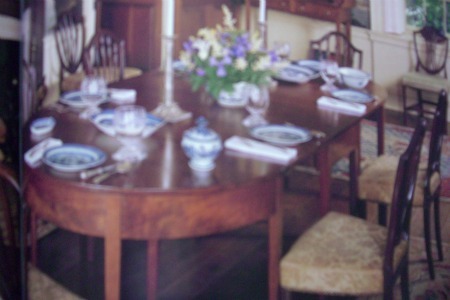 In a 1990 issue I noticed a monthly feature titled Tablescapes. That is what made this magazine a favorite of mine. They would give you ideas for all aspects of comfortable and gracious living. I apologize for the blurry pic. My scanner wasn’t working so I took a picture of the magazine page. I always looked forward to the issues with reference articles done on various antiques. 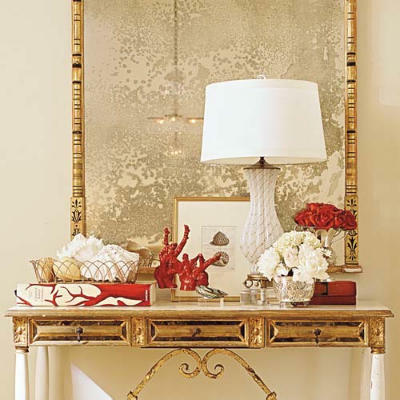 They would advise you how to purchase authentic antiques and what to look for and what to avoid. 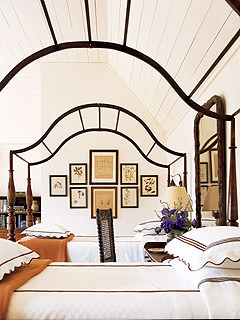 If you visit Southern Accents website HERE you will see some of the later rooms featured in their magazine. When I’m experiencing withdrawals from Southern Accents I’ll now have the dozen or so issues I kept for the year or so before the magazine closed their doors and a dozen issues form the early nineties. That should give me plenty to garner ideas and inspiration for some time. 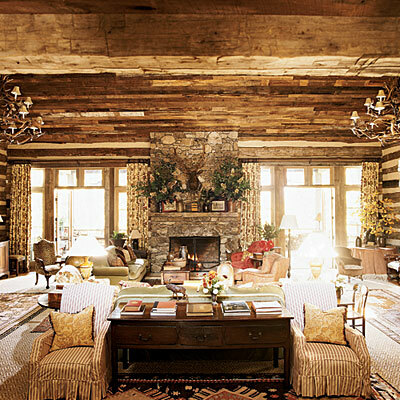 Do you have an all time favorite home designs magazine? I’d love to hear. What a special and thoughtful gift! I t is so fun to see how styles have changed, yet the same charm and homey feeling seems to stay the same. Visiting the old issues of the magazine was a reminder of some of the trends we all enjoyed years ago. It made me smile to remember some of the things that made our house a home at the time and how we’ve changed. I’m so excited to hear from you. 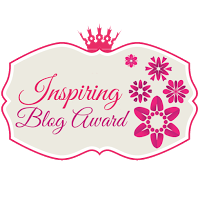 You are so talented and I thoroughly enjoy your site. Thanks for stopping by. 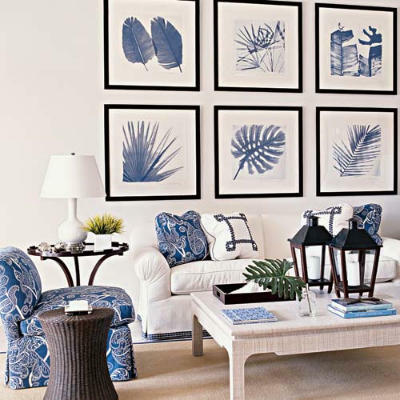 Hi Karen, I love Country Living, Elle Decor and Coastal Living the best! It’s my guilty pleasure buying all those fun magazines with a good box of chocolates and dreaming. Too true, its the little things (spending time daydreaming) that make life fun! What a wonderful post! I’m so glad that Gretch and I came across those old issues of Southern Accents. They had your name written all over them! 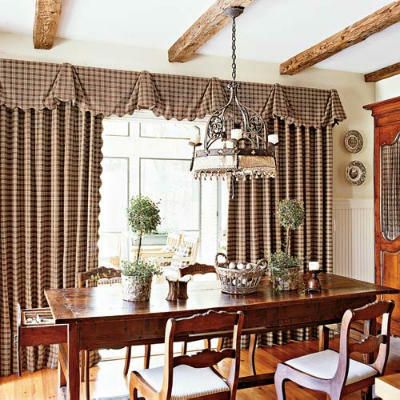 How fun to reminisce about Country Life Interiors and all the wonderful decorating ideas they inspired. True, that style has come and gone but I still enjoy seeing pictures. Me too! It’s been like a stroll down memory lane perusing the issues you and Gretch gave me. Thanks again, it was so much fun seeing you.